Home » Fertility Video » How Should I Track Ovulation? 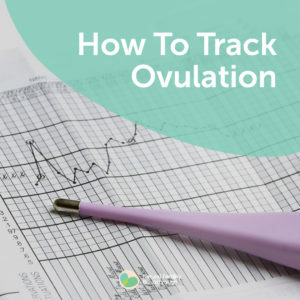 One of the questions I often get asked is “how should I track ovulation?” There’s the scientific ways, including ultrasounds and blood tests, then there are the ways that you can track ovulation at home. We recommend our patients track basal body temperatures, simply measure and record body temperature, at the same time each day to identify the pattern of a woman’s cycle. We prefer this method because it provides both our team and our patients with a wealth of insight as to their unique fertility cycle. We recommend the free Fertility Friend app because it is simple to use, useful and educational. By undertaking this routine, every single day, you will get a pattern that can help you identify and track ovulation signals. With temperature typically, the pattern zig zags about, which is not particularly useful over one month, but over several months, clear patterns can emerge. Typically in the first half of the cycle, temperatures will rise and fall randomly yet within a few points of a degree. Mid cycle your temperature then dips lower, then goes up, and it stays up. That dip and the following rise, indicate that ovulation has occurred. Around 36.3 is where you want the temperatures to be during the first half of the cycle, rising to about 36.5 – that’s the textbook range of normal. The great thing about tracking basal body temperatures is that if you have temperatures that are all over the place or it takes a long time from the temperature dip to the temperature rise to occur, then we know that there are hormonal imbalances that we need to identify and correct. Usually after a couple of months you start to develop a more defined understanding of your own pattern of when ovulation occurs. It’s a great way to get to know your body, how your body is working, and sometimes how it’s not working and what needs to be improved. This method is not accurately predictive of ovulation, it’s simply a great gauge to reflect on what has happened and opportunities to optimise your fertility. In combination with other tools it does play into forecasting ovulation however the best way to predict when ovulation is happening or about to happen is actually going to be through cervical mucus. Cervical mucus, is fantastic because when it becomes very egg white-like and very stretchy, you know that ovulation is approaching. Cue husband, partner, or friend and get started on baby making. Remember ovulation is not a fixed thing, while for some people it may be or at least seem to occur like clockwork, many women will experience changes month to month, while the difference in cycles from one woman to the next can vary dramatically. Ultimately if you are tracking your temperatures, and checking secondary symptoms such as cervical mucus changes and charting it all in one place, you will start to identify patterns that provide great insight as to when ovulation happens for you. Here’s a copy of the video transcript How should I track ovulation? Understanding a woman’s own unmistakable signs of fertility is one of the tools I teach each and every single one of my patients, because the ability to know your most fertile time of cycle is the one skill that gives you most control over your conception attempts. It also enables me to clearly understand (when things do not go to plan) where I need to focus my efforts as your practitioner to ensure my patients get the results they are after: their very own happy and healthy baby. Because understanding your own fertility cycle is a key element of fertility treatment success, this information is now delivered outside the Natural Fertility Breakthrough Program. We offer the Understanding Your Conception Cycle three week program to help couples develop a better understanding of their conception cycle and body’s fertile signs in order to optimise your chances of getting pregnant.